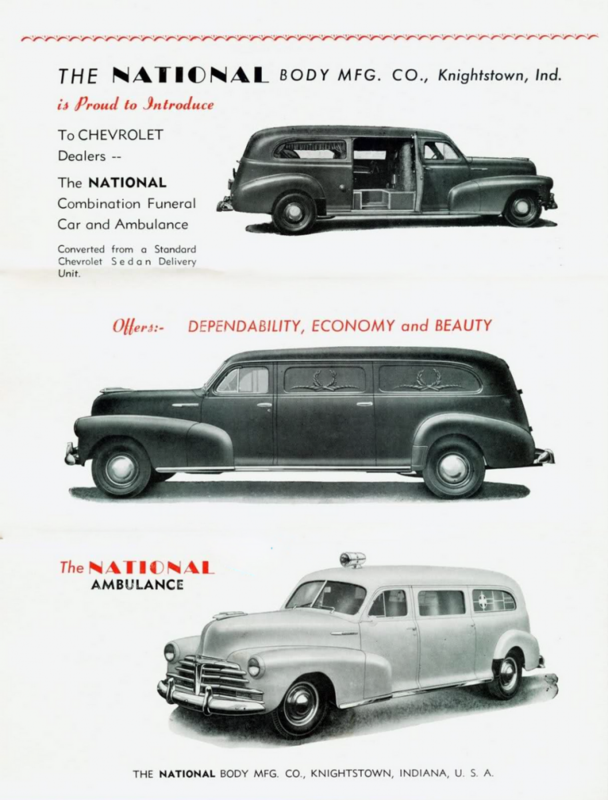 The primary difference between the manufacturing of police cars and the building of ambulances is amount of work done by the automaker itself. 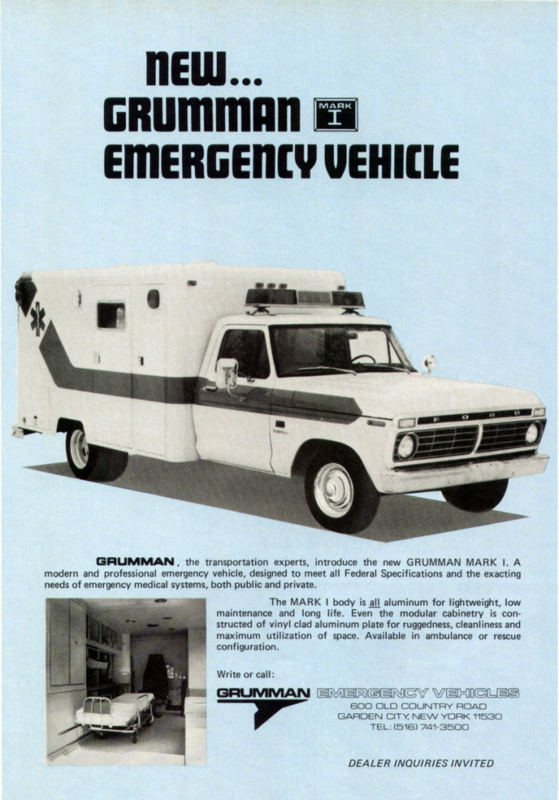 Most police vehicles are built almost entirely at their original manufacturer’s factory, and are later upfitted with department-specific gear such as light bars, sirens, and radio/electronic equipment. 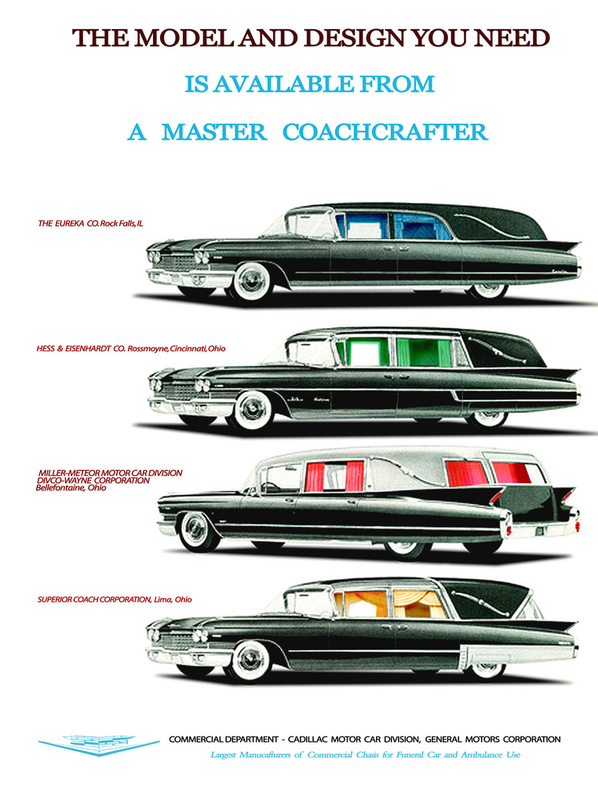 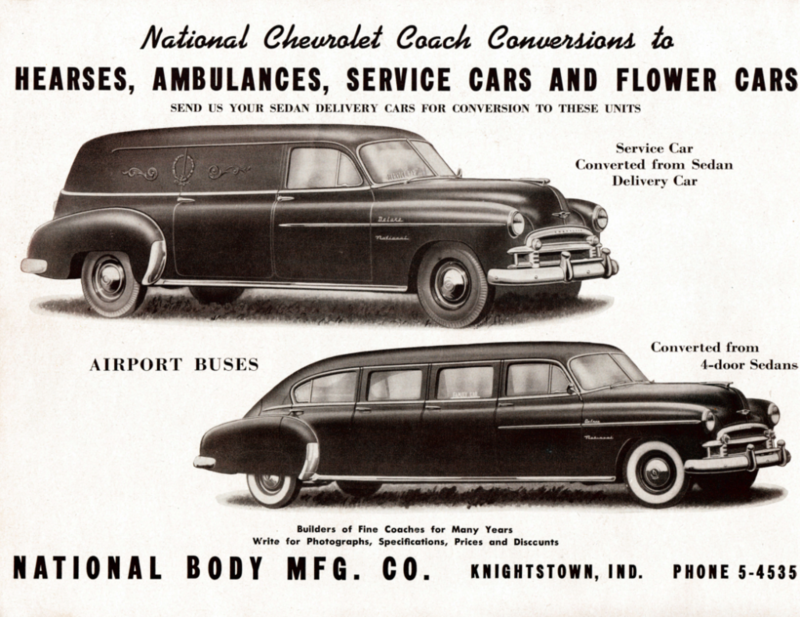 However, ambulances and other “professional vehicles” undergo significant structural and body modifications at a number of specialized coachbuilders after they leave their OEM production facility. 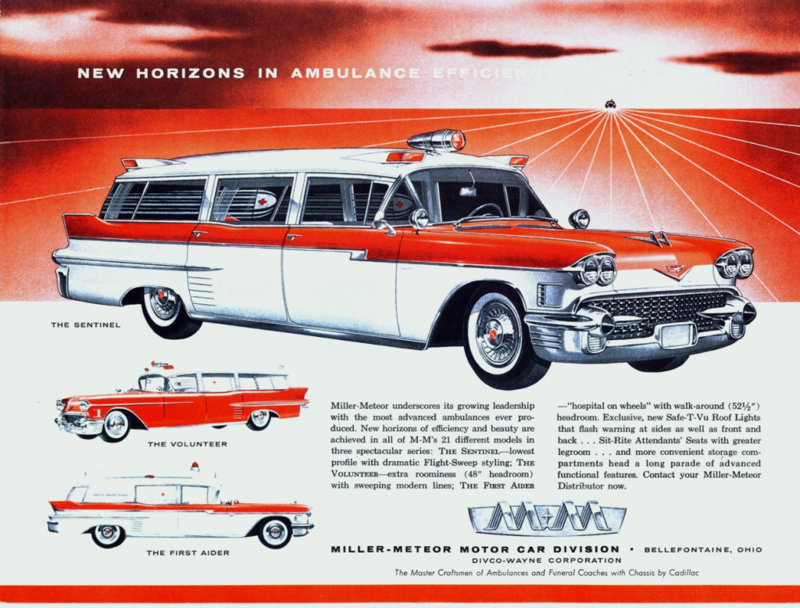 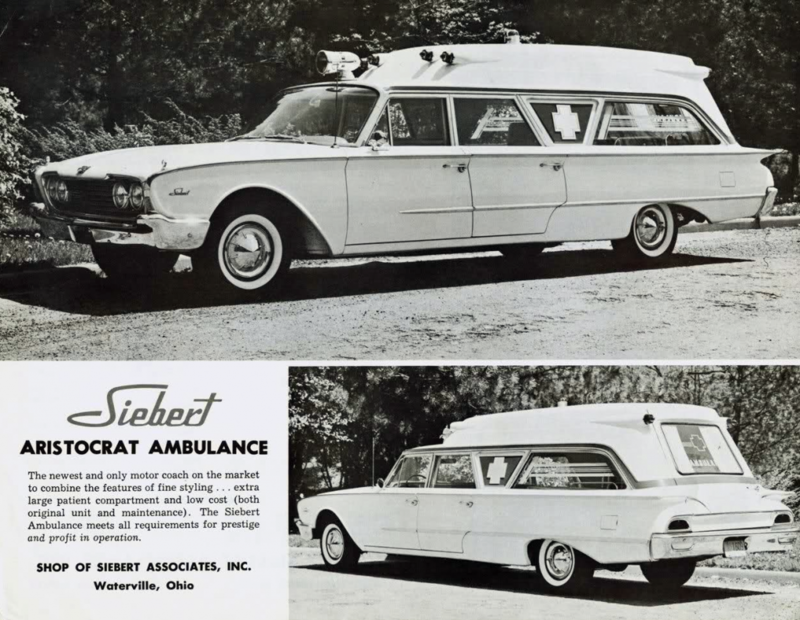 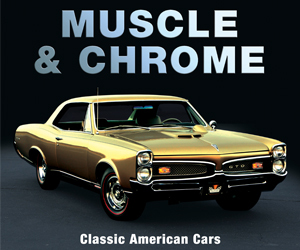 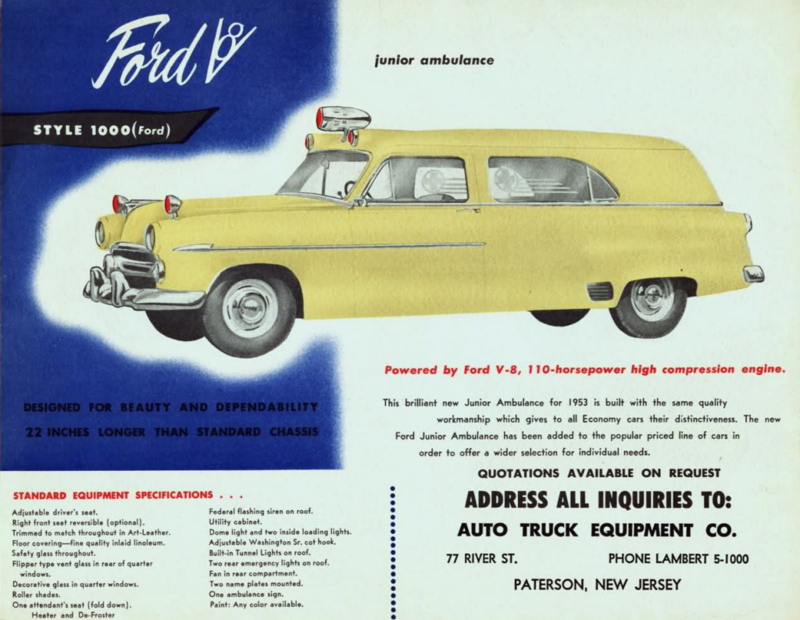 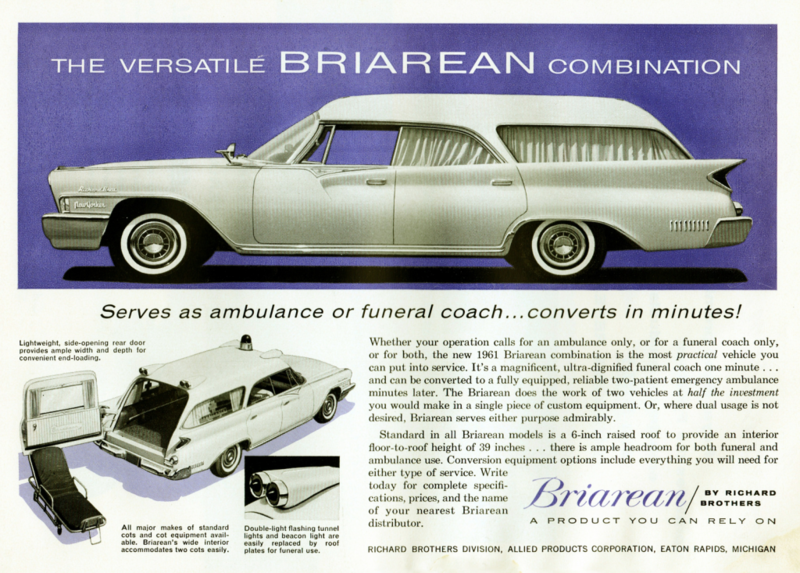 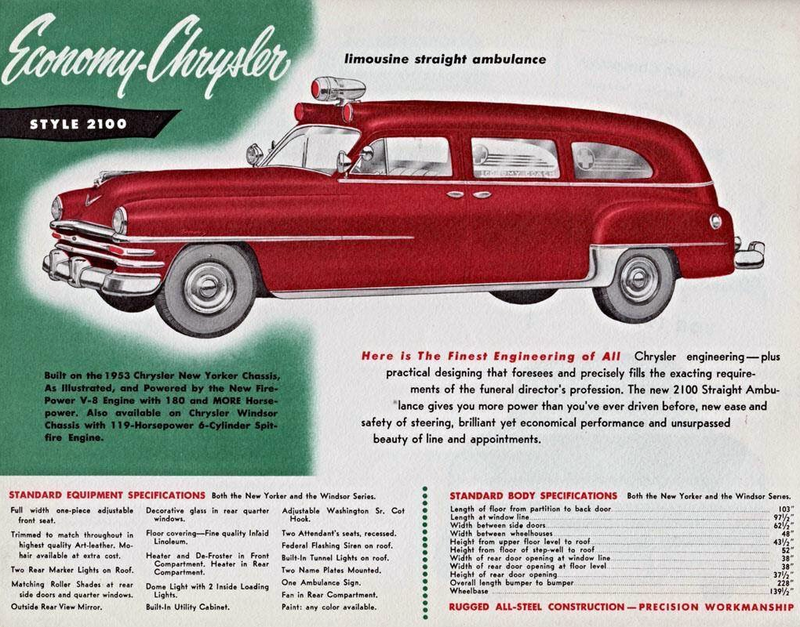 Historically, this meant that carmakers tended to market police cars themselves, while the aftermarket coachbuilding firms took on the task of advertising ambulances. 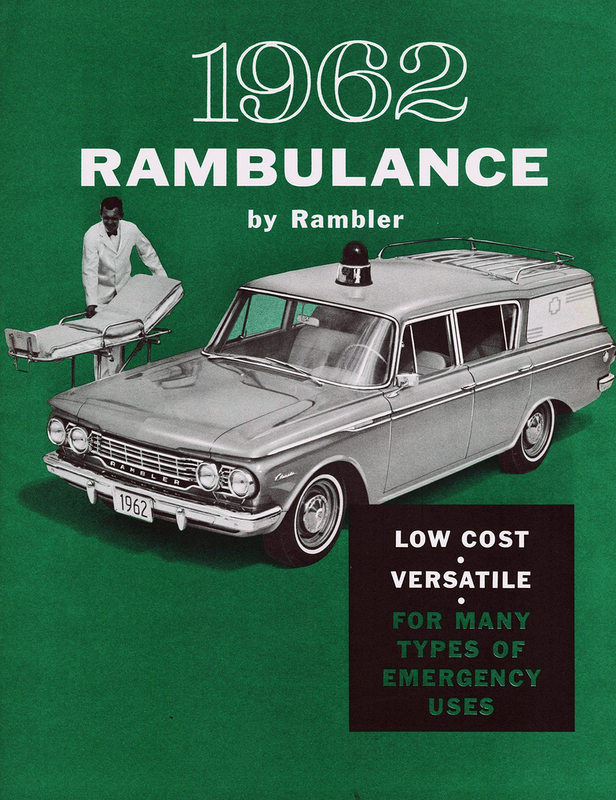 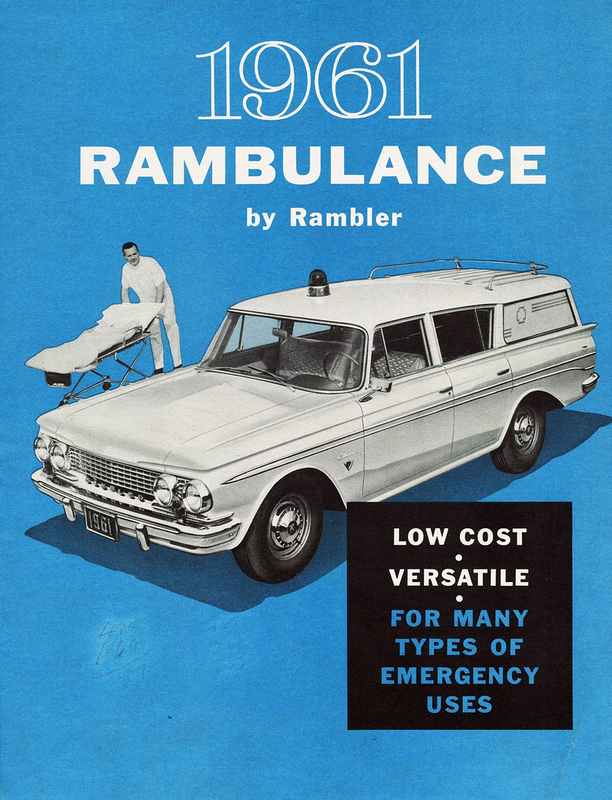 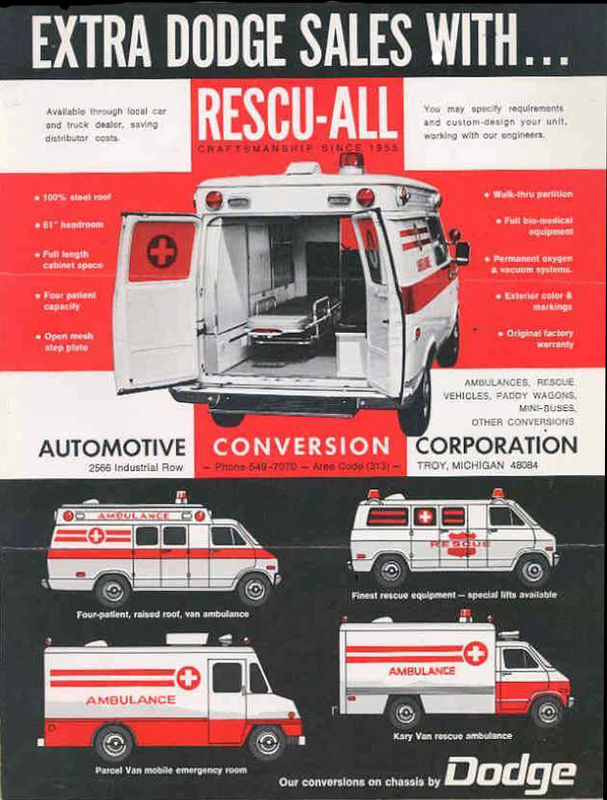 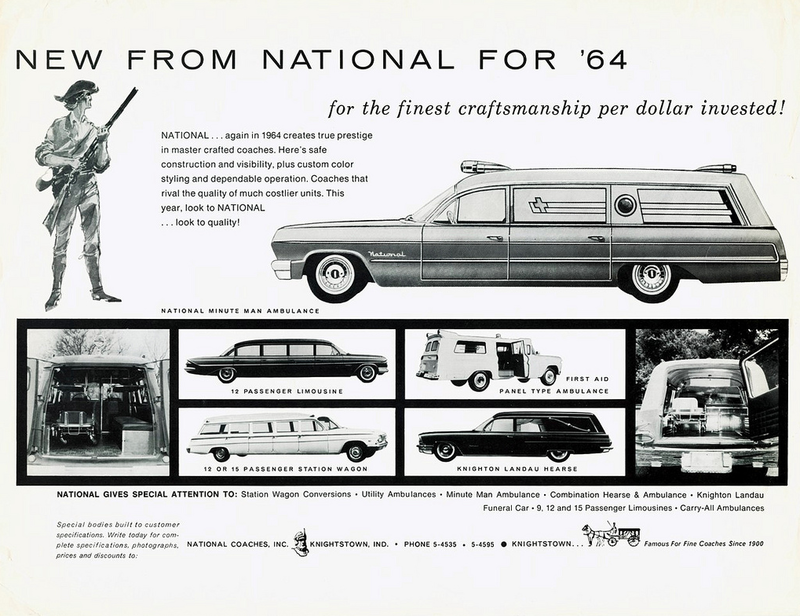 For your entertainment, we have amassed 15 classic ambulance ads and brochure covers, most of which were created by independent conversion companies. 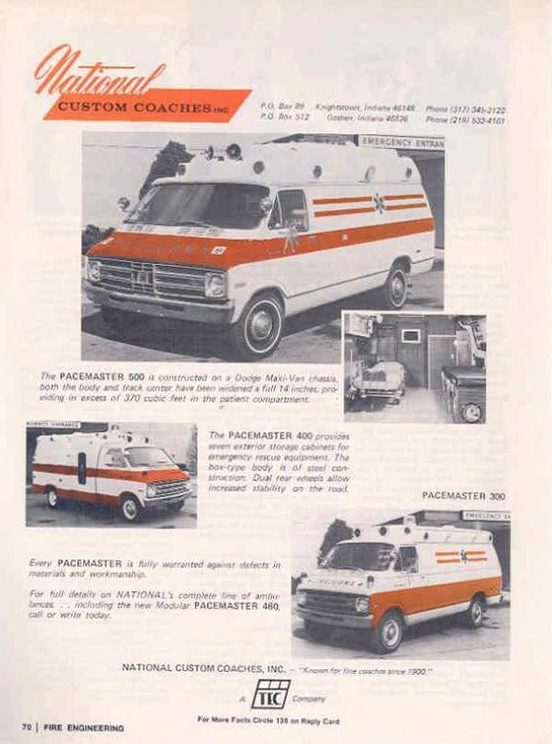 If you’re an ambulance/service-vehicle enthusiast, please tell us about it. 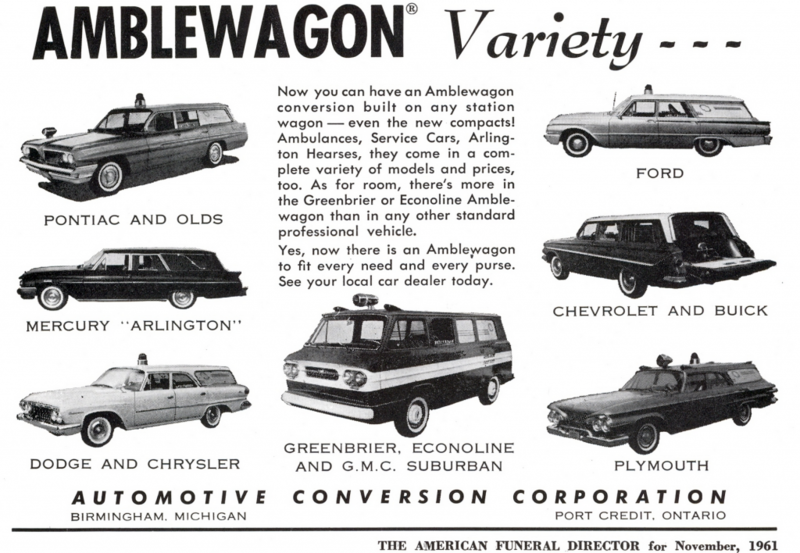 Be sure to let us know which is your favorite example of the group. 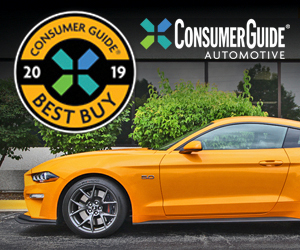 Written by: Tom Appel on November 17, 2017.